Hi Guys, Steve Manios here. I can use one ticket for the Arsenal/Liverpool match. I have already booked a flight for London. I will be there in case match is changed to Sunday. Looking forward to seeing everyone in the next month. Hi Steve, we have received your request. Thanks. it doesn’t seem that I’m able to complete my purchase in my cart (of the Everton match). You can find the ticket link for that game on the My Member Benefits page under the Account heading in the menu. We are processing payments using PayPal’s REST API, which is an end-to-end encrypted protocol protected by PayPal. But that said, you’re right of course– being protected by SSL is incredibly important. We’ve added an SSL cert to our site and all site activity will be handled under https. I realize you can only request tickets for home games here, but do you have any recommendations for obtaining tickets to an away game? I’m trying to find a way to purchase tickets for the Leicester City match. I paid to become a Red member on Arsenals website but I’m not sure I’ll be able to find anything on the Ticket Exchange. Appreciate any advice anyone can offer. Away tickets are only available to Arsenal ticket members and Silver members with enough credits. Other than that, the only way to book away travel is through travel agencies that do packages. We cannot recommend any however. Is it too late to request a ticket for the Liverpool game on August 14th? I will be in London on that weekend. You can request today. We’re submitting our list to Arsenal tomorrow. It’s first come first serve, and we started taking requests 3 weeks ago. Cheers. We booked the flight to London and would like to get couple ticket for the home game with Crystal Palace on Dec.31, 2016. Can I buy the tickets here? Where can I order this ticket, please? Left my deposit for Chelsea vs Arsenal was wondering if you received it and when will I find if I was able to get tickets? Any idea of when we would receive confirmation of whether or not we will get the tickets for the Swansea game, October 16? To piggyback on this question, about how soon before the games should we expect confirmation of a ticket? I will be in London in mid August and would like to see Arsenal v Liverpool. However, I cannot find a link request for that match via the Ticket Portal. Any suggestions? Already too many requests? Thank you in advance. Are any wristbands still available for the San Jose fan party? Thanks. Just found out I’ll be in London for the Everton match. Last home match of the (league-winning?) season. What are the chances tickets for that game would even make it to Arsenal America supporters? Hi, just wondering if you ever got an answer to this? We also will be there for the Everton match and I’m not sure if I should join Aresnal’s Red Membership as well as Arsenal America. PLEASE TELL ME if you guys have tickets to the Chelsea v Arsenal game on the 24th of September please reserve one for me ASAP! THANKS ARSENAL AMERICA!!! Also, please note that the comment section is not a reliable way to contact us. Please use the contact link in the menu for all future inquiries. Hoping to see the game against Man City in April, 17. How far in advance can I request a ticket? You may request tickets for any home match for the 2016/2017 season at any time. Head to the ticketing section of the website to make a request. Looking for some help. We’re going to be in London for the Champions League Matchday 3 (19-October). Would I be better off joining Arsenal RED or Arsenal America to get tickets? Traveling to London over winter break of college and am looking to get tickets to the boxing day and NYE matches. Does anyone know if they’re available still before I decide to purchase a membership? Thanks so much. 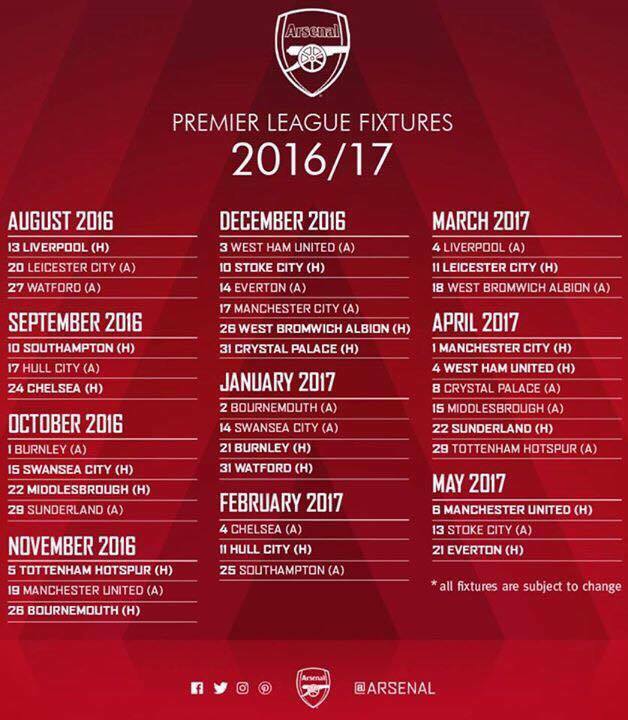 Excited to hopefully see our Gunners! Planning on going to the North London Derby in November. Should I request tickets through Arsenal America or become a Red Member with Arsenal FC? Hello, I submitted a request for the Leicester city match on March 11, is it still possible to buy another ticket for a friend? I read the FAQ. Thanks!